Home Internships Why Internships Are Important? College students have a lot on their plate. They have to juggle their assignments, extracurricular activities and their social and familial life. In the midst of this, they often overlook the importance of internships. “You need experience to get experience” is the unfortunate truth of today’s world. If you have a relevant internship displayed on your CV, you will have an advantage over the other candidates. Employers value experience as they provide students with skills that they wouldn’t get in their classroom. Internships make the transition from student to professional easier. Here are a few more reasons why internships are crucial. It goes without saying that internships are the best way to gain experience, regardless of the field. It teaches you to apply the knowledge you acquired in your classroom. Simultaneously, it gives you practical knowledge that you need alongside your theoretical knowledge. It is the best way to gain hands-on knowledge about any industry. Any student with relevant internships on their resume will have an edge over those who don’t. Networking is the secret to a successful career. However, building connections is tough when you’re just a student. This is where internships come in handy. They help you to meet industry experts and teach you how to communicate in a professional environment. Meeting professionals can be beneficial as they could write you recommendations or simply, put in a good word for you when you apply for a job. Internships often come with deadlines. Your time management skills will be tested to the fullest in any internship. Furthermore, balancing your internship, college work, extracurricular activities and social life will be a good challenge to prepare you for the professional world. You may make mistakes sometimes, and it may seem like a mammoth task but, it will help you improve your skills. Internships will help you develop a work ethic. Internships pave the way for personal development as well. It helps you discover what you excel at and in turn, helps you decide what you could pursue as a career. It helps you to know your goals and how to achieve them. This can only be possible by stepping out of your comfort zone. Internships encourage you to explore a particular industry. It could also be something completely unrelated to the course you’re studying at the moment. In this way, you will have the ability to decide whether you want to continue in the career path you’ve selected or if you want to pursue something different. Nowadays, employers don’t give much importance to grades and give more importance to how much of an asset you will be to the organization. They want to know if you will be able to cope with the fast-paced corporate world. Internships help you learn all the skills you will need in a professional setting. The decorum of an office environment, office jargon and, the art of small talk are some things that one cannot learn in a classroom. This makes internship experience more valuable than ever. Many a times, you will have to work in a team. This will give you exposure to team dynamics and help you to learn teamwork. As we’ve heard time and time again, ‘Confidence is key’. Internships will help you to build confidence. A good internship will include feedback from your seniors which will help you to improve yourself. As an intern, you will learn your capabilities and become confident in them. You will also realise how capable you are of making valuable contributions in any given project. This confidence will help you all throughout your life. No matter whether an internship is paid or unpaid, it will make a big difference on your CV. Many a times, people tend to overlook great opportunities just because they are not paid. However, unpaid internships can also provide you experience along with many other benefits. 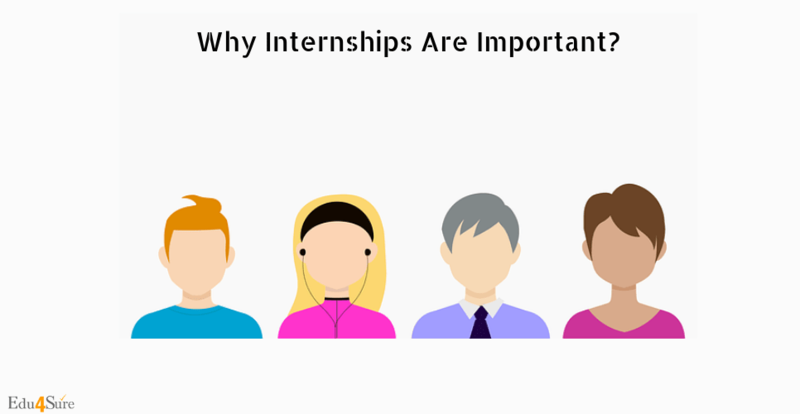 The best time for internships is the summer as most companies give internships during that period. It would be a lighter time for students too, as they will not have much workload. However, you may have to apply many months in advance. So, go and apply for the internship of your dreams now! 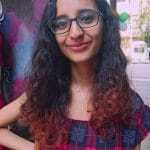 Previous articleWhy I Chose MBA? Next articleHow Can Technology Help In The Education Of Specially-abled Children? How To Write For Edu4Sure?